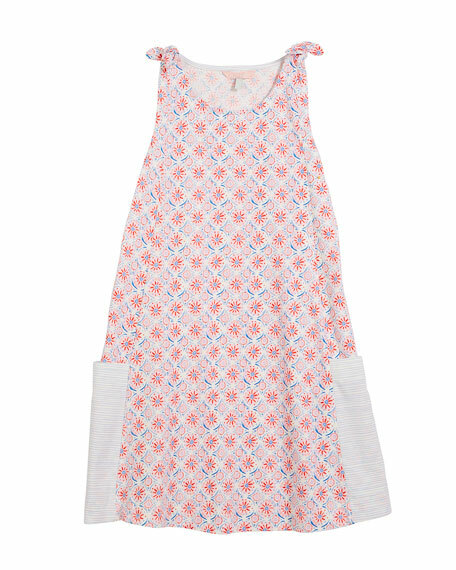 Joules coral-print dress in cotton. Contrast patch pockets at hem. For in-store inquiries, use sku #2603517. 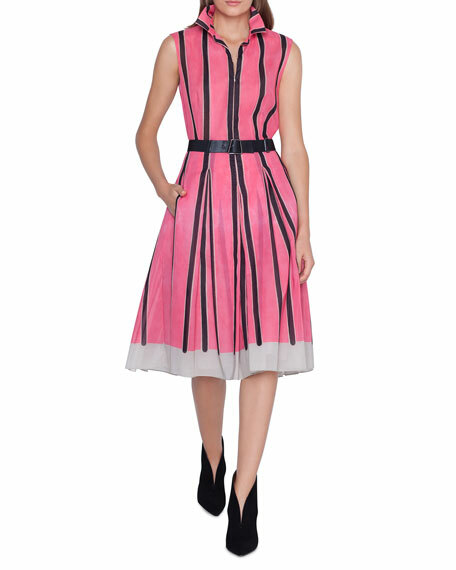 Akris dress in linia-print cotton voile. Shirt collar; zip front. Sleeveless. Belted waist. Side slip pockets. Pleated skirt. Midi length. Cotton. Viscose/spandex lining. Imported. 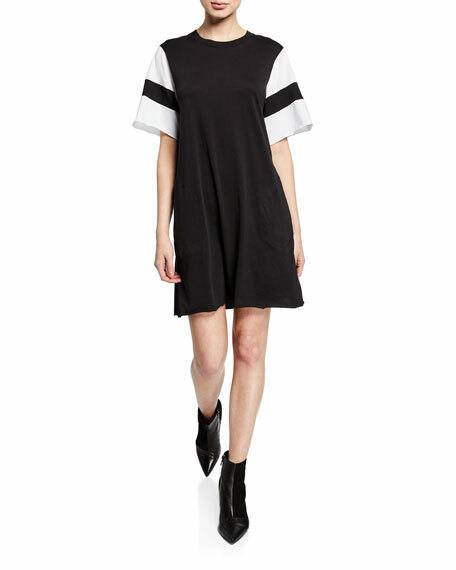 ATM Anthony Thomas Melillo jersey cotton dress with striped sleeves. Crew neckline. Short sleeves. Relaxed silhouette. Mid-thigh length. Straight hem. Pullover style. Cotton. Machine wash. Made in Peru. 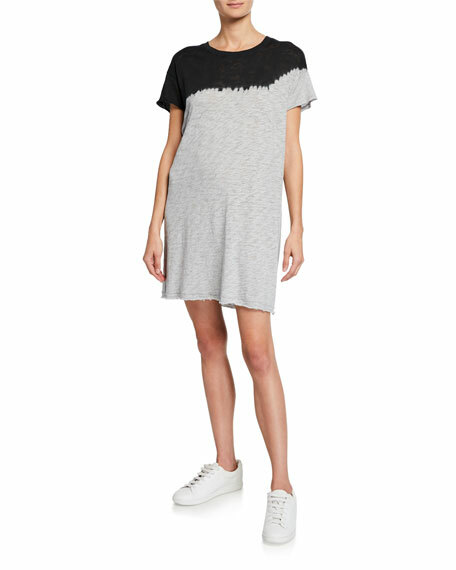 ATM Anthony Thomas Melillo dip-dye dress in slub jersey cotton. Crew neckline. Short sleeves. Relaxed silhouette. Mini length. Straight hem. Pullover style. Cotton. Machine wash. Made in Peru. 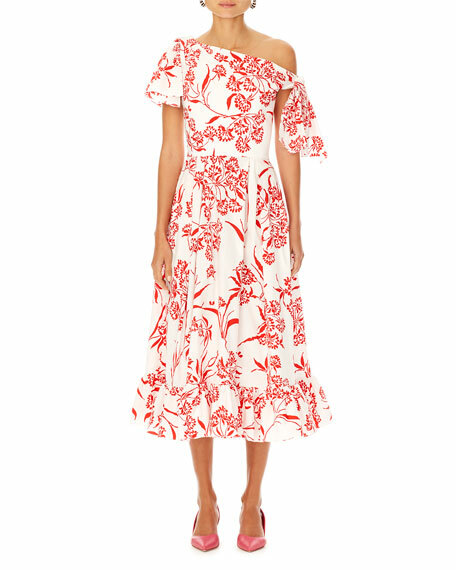 Carolina Herrera dress with floral-print. Asymmetric neckline with knot detail. Flutter sleeve. A-line silhouette. Pleating from waist. Hidden side zip. Flounce hem. Midi length. Cotton/spandex. Made in Italy.